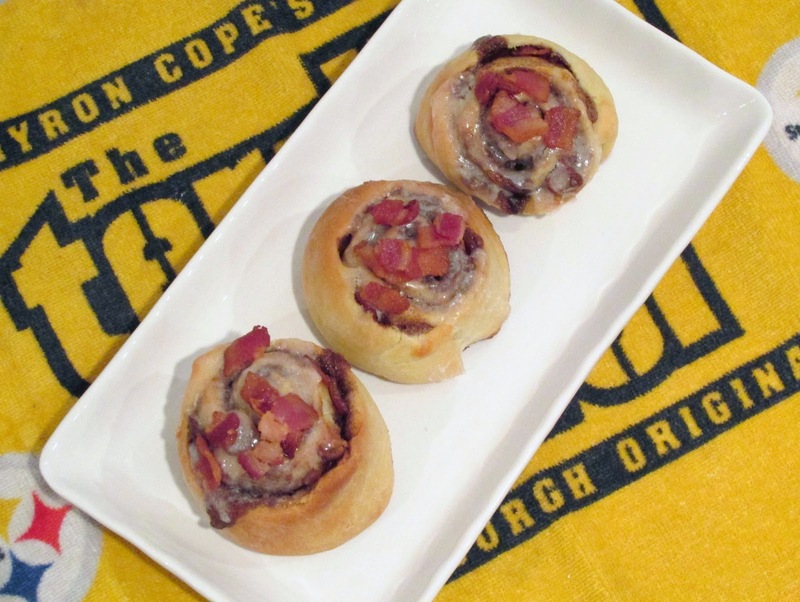 Don't get me wrong - these maple-y, bacon-y treats will NOT give you buns of steel. There isn't a single healthy thing about them. But they are decadent and delicious. I've actually been on a very uncharacteristic health kick as of late and have been trying to swap out all of my fried favorites for (gasp) salad and veggies. And by salad, I don't mean steak and french fries on a bed of iceberg lettuce. Nonetheless, the other occupant of my household has been requesting that I make and post cinnamon buns for quite a while now. I figured I might as well go for two and throw some bacon in. Yum! 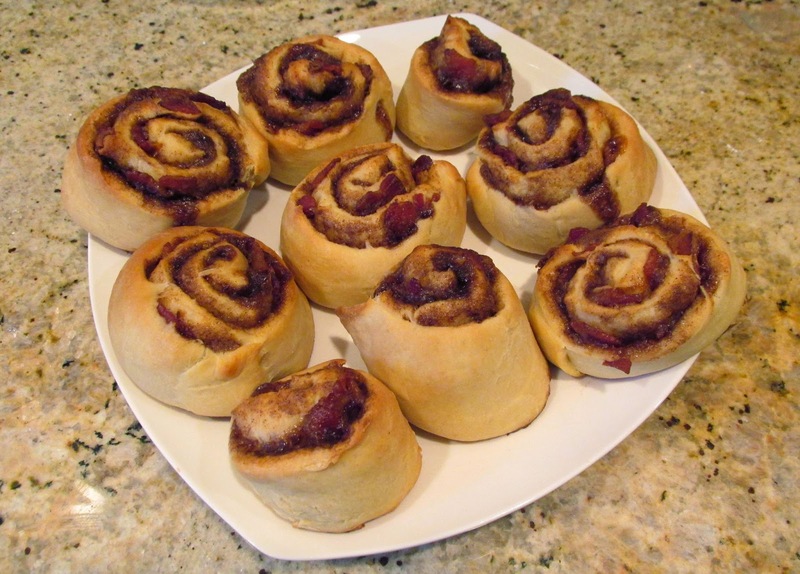 Sure, you could stop by the freezer aisle at Giant Iggle for some roll-out cinnamon buns and toss some bacon on top - but the homemade dough, filling and frosting are worth the extra elbow (and bacon) grease. 1. Fast guys who don’t drop balls. 2. Fast guys who don’t drop balls and don’t do drugs. 3. Fast guys who don’t drop balls, don’t do drugs, and don’t carry unregistered guns. 4. Fast guys who can throw and also wear helmets when riding motorcycles. 5. Fast guys who can throw, wear helmets and check IDs before hooking up in bar bathrooms. 6. Guys who tackle carefully. 7. Guys with good hair (Troy is not gonna be around forever). 12. Guys who smile allot. 14. Guys with good names (like “Tunch” for example). 15. Guys with big beards. 16. Guys who are cheap. *Sadly, Mike Pouncey, twin brother of Maurkice Pouncey, went to the Miami Dolphins in the 2011 draft. And if this doesn't satisfy your cravings for maple-bacon goodness, try my Maple Bacon Draft Party Mix! Stir yeast and milk together in mixing bowl. Allow to sit for five minutes until mixture begins to bubble. In a separate bowl, cream together butter, sugar and salt. Mix in egg, scraping down sides of bowl. Stir milk and yeast in and fold flour in four additions to form dough. Spray a large bowl with non-stick baking spray, place dough in bowl and cover with plastic wrap. Set aside in a warm place to rise for 2 hours. Pan-fry diced bacon until crispy. Place on paper towel-lined plates to absorb grease. Combine remaining filling ingredients in a bowl (excluding the bacon) and stir together with a fork until creamy. Once the dough has doubled in size, roll out to about 1/4 inch thickness in a rectangle. 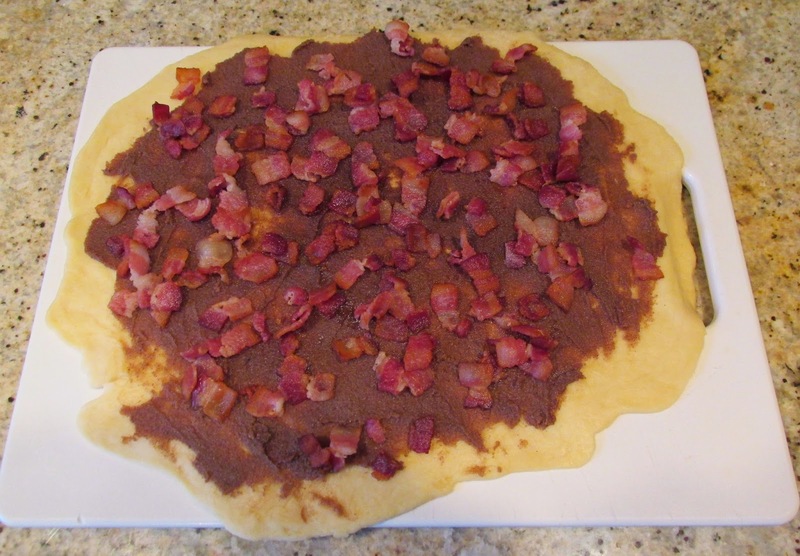 Spread filling onto surface of dough, then sprinkle bacon on top. Roll dough tightly to form a log. Cut into thirds, and then thirds again to make 9 buns. Pre-heat oven to 350 degrees. Place buns on parchment-lined baking sheet. Allow buns to rise again on top of the oven (on the sheet) while oven heats. Bake for 20 minutes until golden. While baking, cream together confectioners' sugar and butter. Mix in maple syrup, vanilla extract and milk with a fork until creamy. Remove buns from oven. 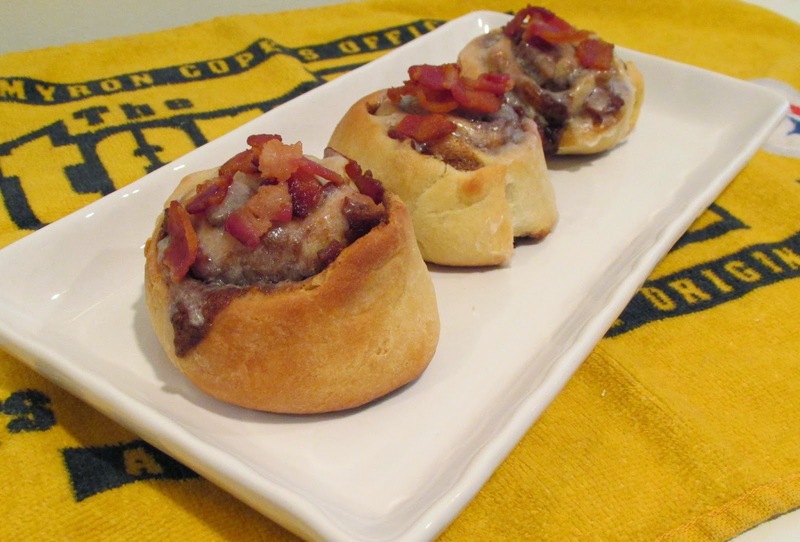 Spoon frosting on top of buns while still warm and top with extra bacon.